For this JRPG game, I want to create an impartial “treasure table” style system for determining what is for sale in a given town. I’ve had good experiences doing something similar in my Vaults of Pahvelorn OD&D game (Thracle’s Grand Emporium). I wanted to create something similar, but more transparent, simpler, and also reactive to player actions such as selling items into the economy. Here is the basic structure, which I think should be easy to remember and manage. Some lists of uncommon and rare items will come in future posts. “Town turn” procedure will also need to wait for the main gameplay and movement post. There are four types of items available in a town. Common, uncommon, rare, and special. Common items are generally always available and may be purchased freely. Items may have a chance of running out if PCs buy a large number of them, however. This threshold will differ based on the town in question, but a reasonable default would be to have a 1 in 6 chance of running out if more than 6 common items of the same type are bought at once (how many grappling hooks is a small town likely to need, anyways?). Assume that they come back into stock during the next town turn. By default, all common items cost one gold piece. There will always be a few uncommon items available also, and occasionally a rare item. Uncommon items usually cost around 50 GP, and rare items much more than that. In addition, there may also be special items available to reflect particular residents or capabilities of the settlement in question. For example, a town with a witch might always have 1d6 potions available. It should be clear how to handle those sorts of special inventories based on the other systems described below. Roll 1d6 for the number of uncommon items available. Determine each uncommon item randomly. Check if there is a rare item available (1 in 6 chance). If so, determine that rare item randomly. This procedure only needs to be done once per town. The inventory will then fluctuate naturally based on further die rolls and how PCs interact with the economy. The referee’s town turn should include updating the current town’s inventory. Follow these steps. Check if each uncommon item was sold (1 in 6). Roll 1d6 to see how many uncommon items should be for sale. If there are not enough items for sale already, determine new uncommon items randomly to fill any vacancies. If there is a rare item for sale, roll to see if it was sold (1 in 6). If the rare item was sold, or if there was no rare item for sale, check to see if a new rare item becomes available (1 in 6). If so, determine that rare item randomly. The inventories of other towns may be updated similarly, but this is not necessary. Don’t bother unless you enjoy watching fictional economies fluctuate. A town that hasn’t been visited for a long time can always be reinitialized when it is visited. The maximum number of items for sale with rarity of uncommon or above that a given town’s shops can support is as if the dice had come up at their full value. That is, a town that rolls 1d6 for the number of uncommon items available can support up to 6 such items. If the town only has, for example, 3 items currently for sale, then there are three vacant “uncommon item slots.” Assuming there is space in a town inventory, PCs may sell items for 50% of the list price. Add any sold items to the town inventory. This may prevent the town from getting new stock in, as those items must go through the same process of selling before the merchants will invest in new items. The system above is designed for a small town, but it is easy to adjust for a larger settlement. Just modify the key numbers to reflect greater availability. For example, a larger town might have 2d6 uncommon items available, and 1d3 rare items. This entry was posted in Rules and tagged JRPG Basic on June 28, 2013 by Necropraxis. I like this. I’d be tempted to write a script to do it for me, but it’s tidy. Wow, such clear and simple procedures! I have been thinking about such a tool but yours look much more elegant than mine in my head. What sort of things would constitute uncommon items? Most weapons? Magical stuff? Armor? I’d have thought grappling hooks would be uncommon, but if we’re simplifying this to be an adventure-centric town, then I could see why they’d be common. 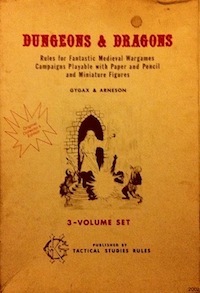 Based on the mention of my OD&D game, I think my reference prices here would have been those in the three little brown books (1974 D&D). So a halberd would be common (7 GP), plate armor would be uncommon (50 GP), and heavy warhorse would be rare (200 GP). Ultimately, I think this would just depend on what kind of scarcity is appropriate to the particular setting. In terms of my current standards for these sorts of thing, I would probably include minor consumable magic items, such as some potions, in the uncommon category, but any more significant enchanted items, certainly those with some degree of permanence, would be rare. The underlying principle being whether easy availability adds to or detracts from choices for players resulting in engaging play.